The outside of Hotel Russell always reminds me of something that you would see in an American movie. 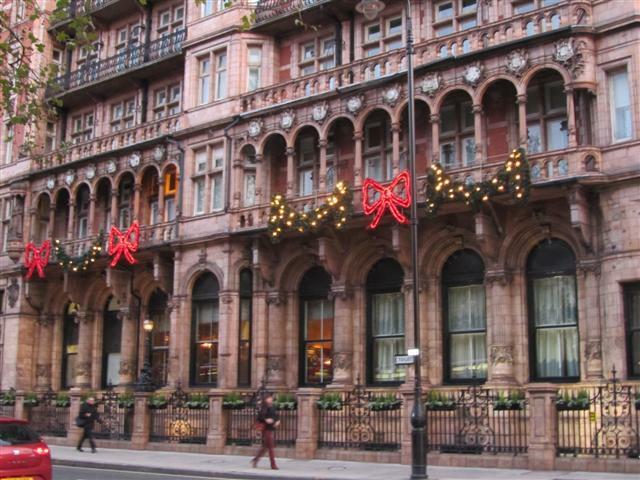 There is something about the grandness of this hotel, especially at Christmas time when it is decorated with big red bows. The building overlooks Russell Square. 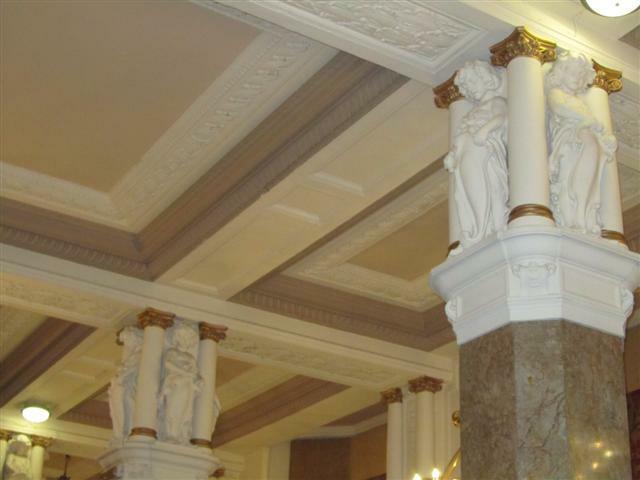 The grandness follows through into the Tempus Restaurant. 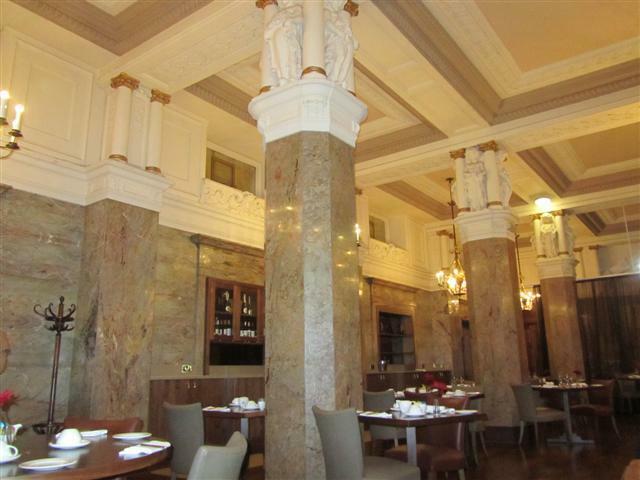 Marble pillars and columns and wooden floors make up the spacious and clean restaurant. 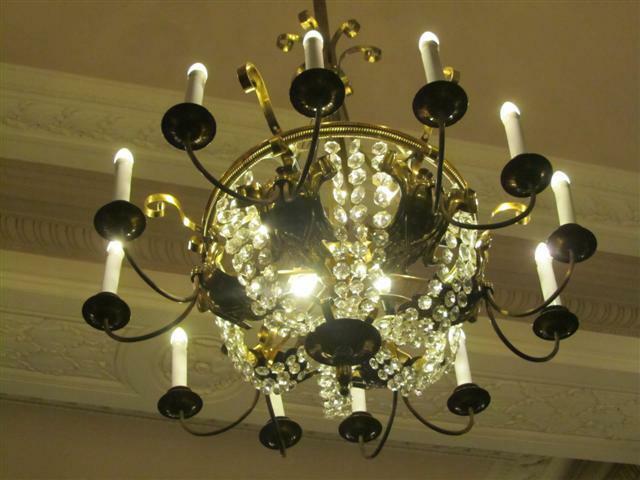 The high ceilings are adorned with chandeliers. 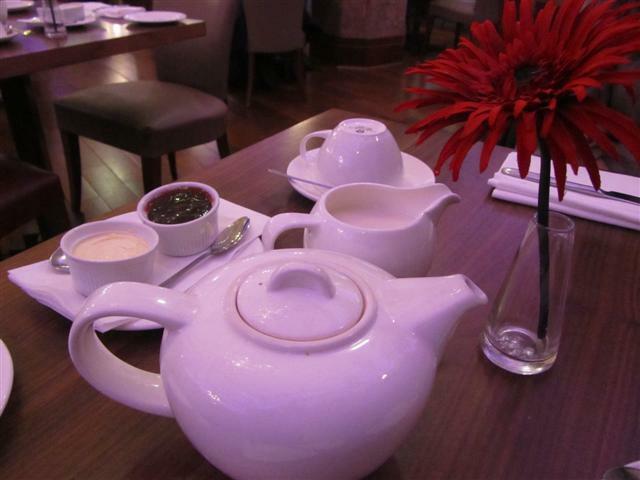 Our Afternoon Tea started off with a large pot of tea. The staff gave us time to relax and settle with our cups of tea before they brought out the food delights. Even though the tea was tea bag tea, it made for a good cup. The staff were really friendly and all throughout the afternoon, they kept coming to see if everything was okay and if we required refills of tea. 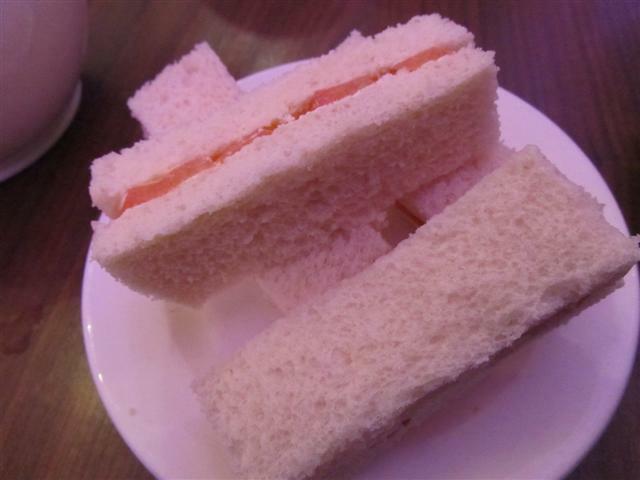 There is always something special about finger sandwiches, maybe it because they have no crusts or maybe it is due to their small size. The sandwiches on offer were egg and cress, ham and mustard, smoked salmon and cream cheese and tomato. I asked for just the cheese sandwiches and my friend had the normal selection. My sandwiches were brought out on a separate plate and not on the tiered stand. By mistake, I was given egg sandwiches as well as the cheese ones. As soon as I said to the staff that I only wanted cheese ones, they replaced them straight away with no fuss. The bread was fresh and soft and this made the sandwiches even tastier. Two toasted scones, one fruit and one plain, were on the top of our three tier stand. Both scones were great. 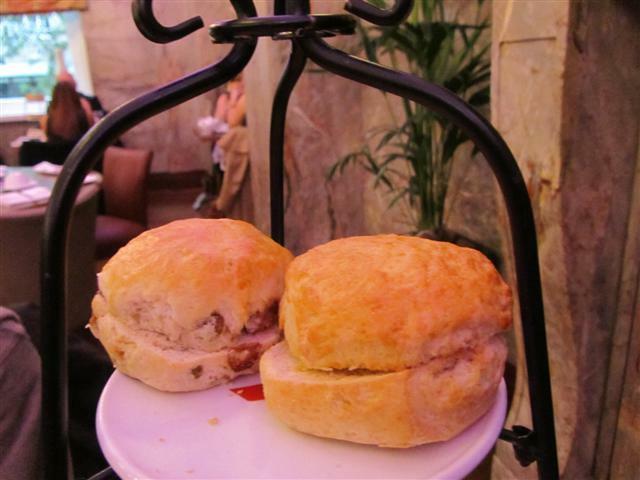 The scones would not be complete without clotted cream and jam. The cream was fresh and the two little pots were enough for the scones. As my friend noticed, there was not the usual chocolate based cake for the sweet treats. But that was okay as we were satisfied with what cakes were on offer. The Bakewell slices had a nice layer of jam, good pastry and moist almond sponge. The berry tart was also good. It was slightly sour due to the fruit. 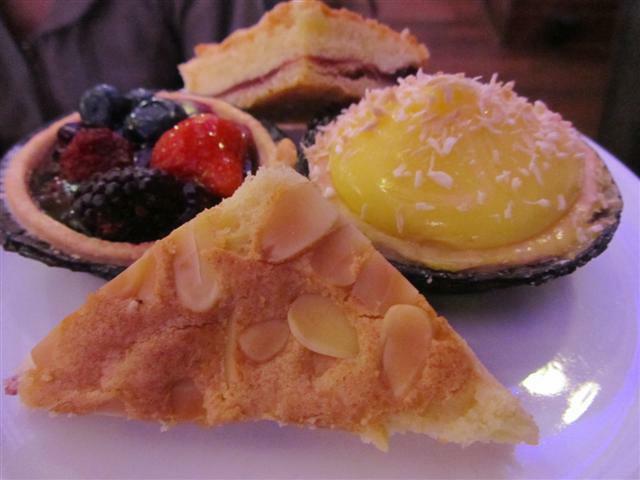 My favourite was the custard based tart. Just because of the yellow colour, I thought that it was going to be lemon flavoured. The thick layer of custard was topped with some coconut and the tart also had a layer of jam. A really delicious combination. 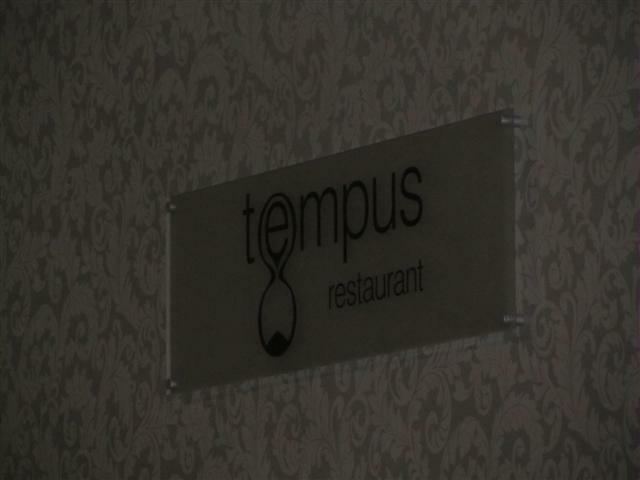 The service here at Tempus Restaurant felt personal and nice. 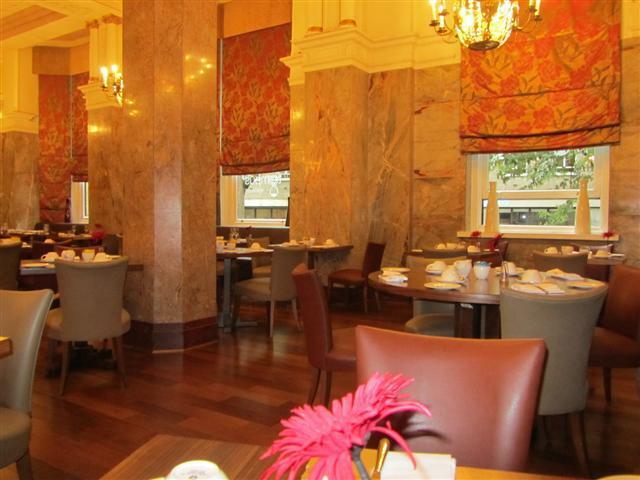 The staff continuously made us feel comfortable so that we could have an enjoyable luxury Afternoon Tea. As the Afternoon Tea was served in the restaurant, the dining area had to be vacated by five o’clock, so that the staff could get it ready for the evening dinner. 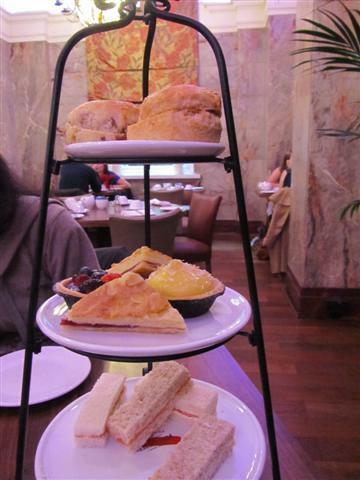 Having Afternoon Tea with my friend at Tempus Restaurant was really special. Tasty fresh food and cakes, wonderful service, a lovely ambiance, authentic decor made the perfect setting for our afternoon of indulgence. 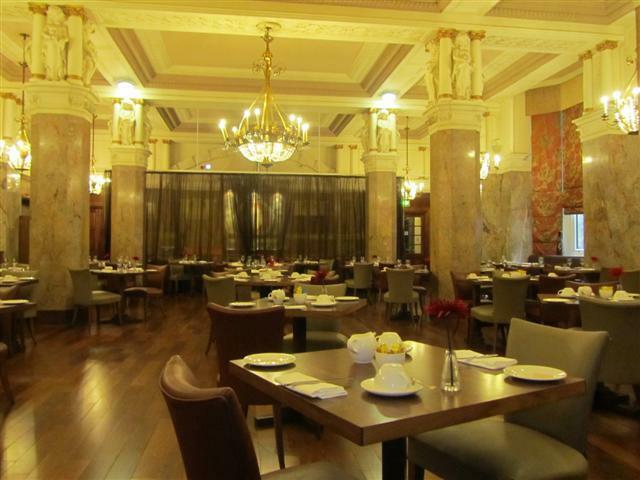 An interesting fact of the Tempus Restaurant is that is was designed by Charles Fitzroy Doll, the same person who did RMS Titanic.